South Central Montana has seen notable fish kills due to a snowy winter and Montana Fish, Wildlife and Parks expects to see more dead fish as mild weather moves in. 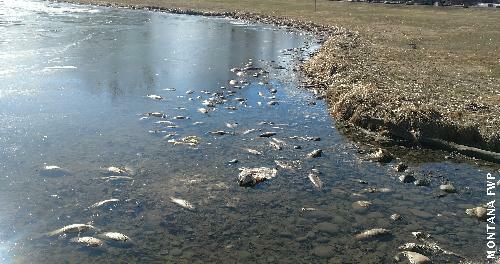 Dead fish appeared recently at Billings’ Riverfront Park as ice began to recede on ponds in the area. Similar fish kills are expected to come to light in other bodies of water in the area.